Sharp debridement is a surgical procedure that uses scissors, scalpels and other sharp instruments to cut away or remove infected tissue. It improves the wound's appearance and promotes enhanced healing. The sharp debridement procedure is often used on wounds that show no sign of healing after using other methods. It is also used for patients with deep tissue wounds, infections or connective tissue damage. The sharp debridement method is faster and more efficient in removing damaged or dead tissue. The procedure may be performed in an operating room or within the patient's bedside. The surgery site depends on the severity of the wound. The site must be sterile--this prevents cross-contamination and other infections from entering the surgery site. The advantages outweigh those found in other methods. Healing is much faster in this type of debridement than in other traditional methods. Although some people require several procedures before necrotic tissue and infection are completely removed, the healing time is ultimately reduced. This method allows physicians to choose which tissue to remove. In other methods, such as mechanical debridement, both healthy and dead tissue is lost. The sharp method allows the attending physician to be more selective in the surgery. People with severe foot ulcers, cellulitis, thick scarring or serious infections benefit from this method. However, precautions are used in patients with diabetic ulcers and vascular conditions. Since there is some amount of bleeding with the procedure, patients with blood circulation or clotting problems are thoroughly assessed. Physicians will wait until the person's physical condition improves before completing the procedure. It is possible that underlying tendons, blood vessels or other structures may be damaged during the examination of the wound and during surgical debridement. Surface bacteria may also be introduced deeper into the body, causing infection. 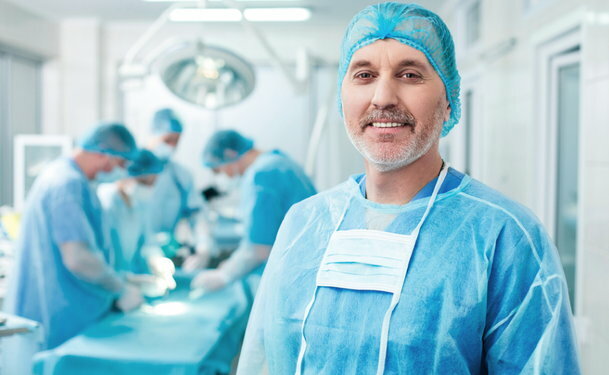 However, the surgical site and surgical instruments used to complete the procedure are typically sterile and free of bacteria. After surgical debridement, the wound is usually packed with a dry dressing for a day to control bleeding. Afterward, moist dressings are applied to promote wound healing. Recovery time depends on the type of wound. Patients will receive skin assessments on a regular basis until the site heals. Others may need ongoing treatment for several weeks after the procedure. Patients with diabetes or vascular conditions may need further assessment in order to prevent infections in the site. Special products designed to speed up recovery may be used. At times, other debridement methods are used in conjunction with the sharp debridement method. Most wounds will heal without visible scarring, but may continue to cause pain until the site completely heals. Patients will need to follow all prescribed precautions in order for the wound to heal correctly. Proper hand washing and cleaning is needed to prevent re-infection. Reporting any signs of sores, infection or pain is important. Patients are required to take any prescribed medications as well.